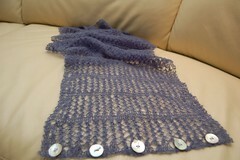 I'm knitting Wisp as a Christmas present for my sister-in-law. 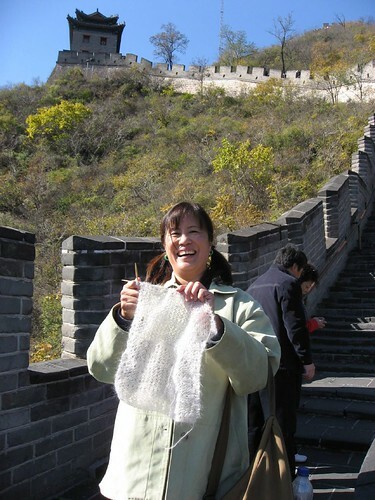 Won't it be cool to tell her this puppy was knitted on the Great Wall of China?! 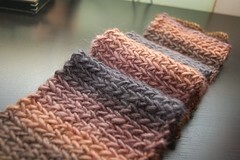 I met 2 other knitters, Charlotte from Omaha and Linda from Maine. 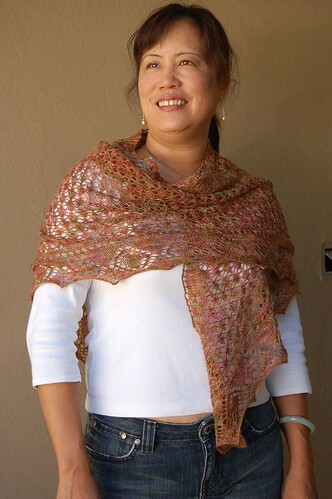 Linda thought it would be cool to knit something for myself, as a remembrance of China. Great idea, Linda! 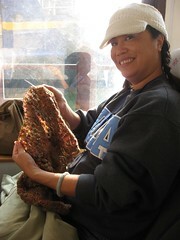 So, here I am, cruising down the Lessor Gorges of the Yangtze River, knitting my own hand dyed yarn into Ene's Scarf. I saw many great things in China. I expected, frankly, that reality could never match up to the fantasy, but I was wrong. China is mind blowingly beautiful, dramatic, history infused and DENSE. There are so many people - can you wrap your head around 1.3 billion people in one country? A medium sized city has 7 million people in it. SEVEN million! That's outrageous, but reality. I spent many moments thanking my ancient ancestors for having the courage to leave China for the US back in the 1800's. Otherwise I would think squatty hole toilets were perfectly normal (eew). 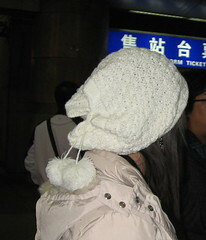 Many of the very chic young women wear very cute knitted hats. 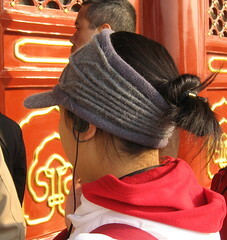 these hats are brimmed but have no top - a perfect place for the ever present glossy black pony tail to poke through. Room for piling the glossy black hair in the hat or open it up and letting the pony tail poke through. 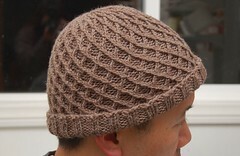 I'll have to try my hand at designing something like these hats. Afterall, I have the glossy brownish, reddish blackish pony tail! 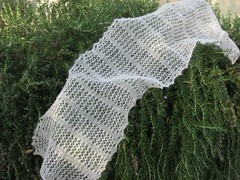 I have much knitting to blog about, but I don't want to overload. 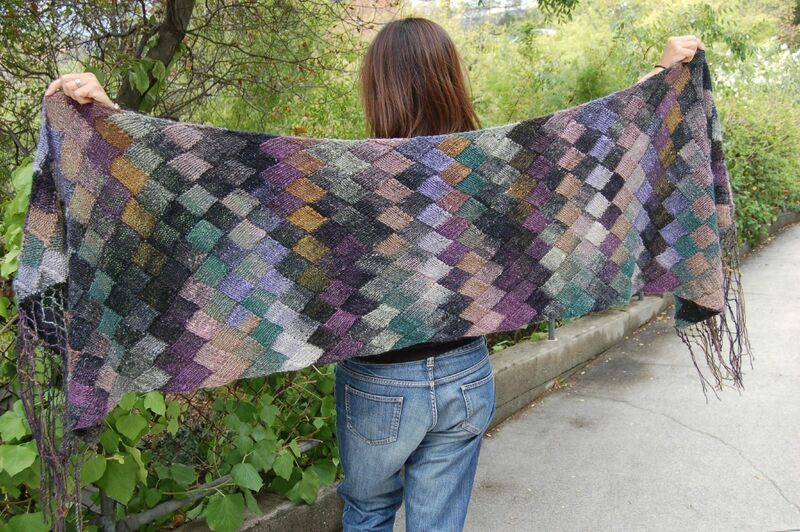 Here's a link to my Picasa Web Album, should you care to look. If you get the chance to go, do it. It was an amazing experience.